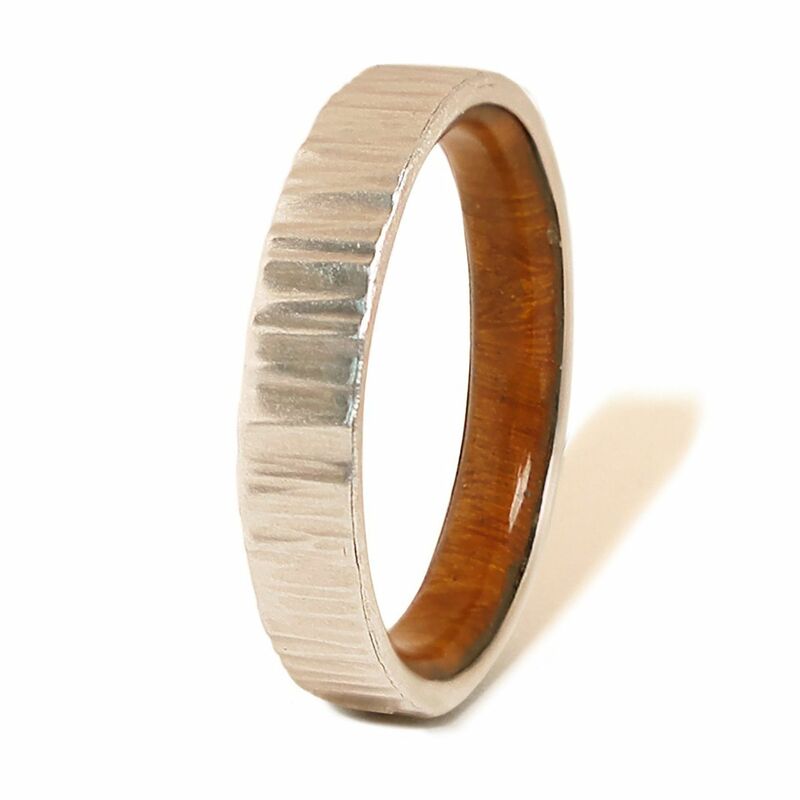 The metal of this ring is completely white gold 18k. Embedded in the center has a band of cherry wood and sand. You can sent your special sand to make it.Also, the wood is covered with ecological resin to prevent dirt from penetrating and maintain the natural beauty of the wood.Our rings are handmade, unique for unique people.